We install uPVC doors across Dunfermline, Edinburgh, Stirling, Perth, Rosyth, Dundee, Fife, Glasgow and surrounding areas. SRJ Windows offer a large range of uPVC doors to suit your home. All of our doors are fully reinforced, fitted with a five-point locking system and state-of-the-art hinges to ensure high security and durability. All of our doors are installed with care by our efficient joinery team. We offer a broad selection of uPVC doors that are stylish, affordable and offer security. These are some of the most durable entry doors on the market. They’re extremely low maintenance and will maintain their look and feel for years to come. They’re also resistant to the corrosive power of the elements – so they’ll remain in excellent condition long after wooden doors would’ve rotted or otherwise corroded. You can rest assured that you’re bringing lasting quality to your home, in a stylish way. Whether your home is modern, traditional, period, heritage or new build, we’ll be able to bring you a uPVC door that is perfect for your property. With a choice of bespoke features on offer, you won’t have to worry about missing out on the quality that we offer. Our energy saving uPVC doors create a natural thermal barrier for your property – keeping the heat in during the winter months whilst keeping you cool and comfortable during summer. As such, a uPVC door installation is an important step towards lowering your energy bill and creating a more environmentally friendly living space. SRJ Windows has spent years sourcing the most sustainable uPVC doors, and there are numerous benefits to using uPVC doors in your home. As well as being strong and long-lasting, uPVC outclasses its timber alternative as it does not rot, warp, crack, twist or bow out of shape over time and exposure to the weather. You’ll be able to enjoy a new addition to your home that is set to last. All of our uPVC doors are available in a range of styles and colours to suit any tastes, whether you’re looking for something that stands out or something that has a bit more of a subtle charm. You can even opt for a woodgrain foil, which allows our uPVC doors to capture the look of timber without any of the outdated problems and headaches that it can bring. To keep any adverse weather at bay, our uPVC doors are fitted with high performance, low line gaskets and weatherseals. Not only does this ensure that draughts and water ingress are kept away from your home, it also means that you enjoy impressive performance without compromising the look of your home. You’ll be able to enjoy the best of both worlds. For an impressive degree of security, the uPVC doors that we offer feature steel reinforcements where needed, which helps to create additional structural strength across the door frame. When combined with a premium grade design, you can rest assured that our uPVC doors achieve an outstanding level of structural integrity to perform to the highest standards. Alongside the reinforced frame and high security locking systems, our uPVC doors also feature a full depth, central eurogroove and single leg glazing bead. Both of these factors help to contribute to the overall security of your door, helping to keep would-be intruders at bay. With SRJ Windows, you’ll be able to install a modern standard of security into your home. Our uPVC doors are available in either a chamfered or ovolo profile finish, both of which bring their own unique charm. If you’re looking for something soft and sculptured, the ovolo is a fantastic choice. If, however, you’d prefer a more modern look, the chamfered design is ideal for bringing a modern and clean look to the door frame. With these options, you’ll be able to get a uPVC door that complements your tastes and your home. With uPVC, you’ll be able to enjoy a beautiful and lasting aesthetic with minimal effort on your part. You won’t have to repaint, sand, cut or varnish your doors over the years to keep them at their best. All you will have to do is give them a quick wipe down with a damp cloth and they will look as good as the day they were installed. You won’t have to worry about your door looking tired. We pride ourselves on the standard of service that we offer, refining our approach over the past 25 years to ensure we always deliver an outstanding service. With SRJ Windows, you’ll be able to enjoy exceptional standards of professionalism, reliability, promptness and respect for your home. You’ll be able to enjoy market-leading quality, sooner and easier. Get in touch with us via our online quoting engine to get a free, bespoke and competitive uPVC doors quote. You can also get in touch with us via this method should you have any questions. 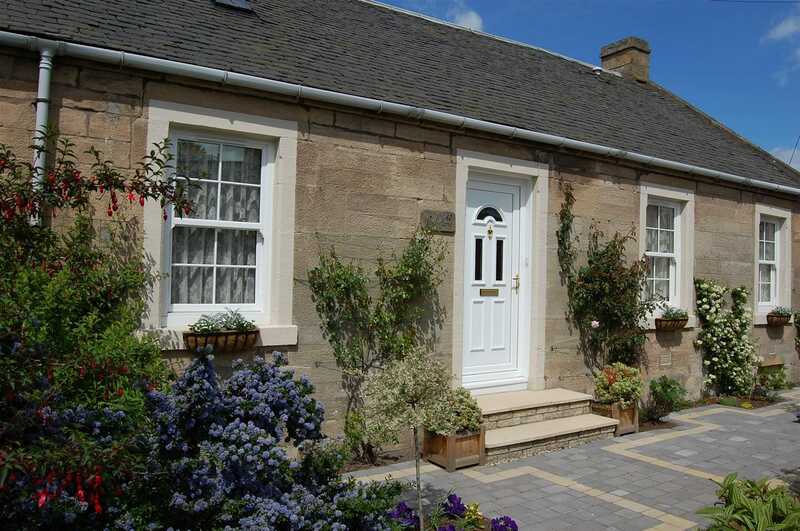 Alternatively, out showroom in Fife is a fantastic way to see our uPVC doors up front. A member of our friendly team will be more than happy to show you around to make sure you see what you’re after.